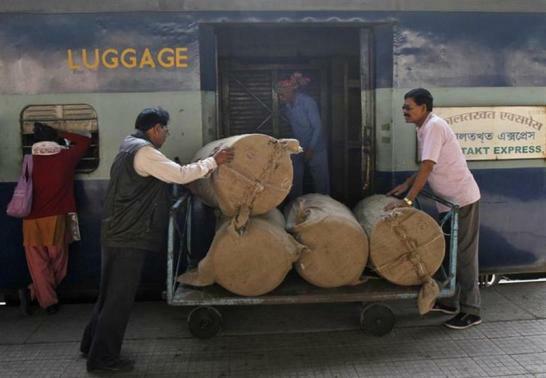 The railway authorities in Dindigul have directed Food Corporation of India to pay a fine of Rs 800,000 for transporting 110 tonnes of rice more than the quantity for which freight charge had been paid by the FCI. According to officials 3,500 Tonnes of rice had been booked from Kazipet for distribution through public distribution system in Theni and Dindigul districts. The weighing equipment, which could weigh the good even as the train is on the move showed that 110 tonnes had been loaded additionally in the 55 goods wagons. Hence they had directed the FCI to pay Rs 800,000 as fine for the additional goods loaded. The image is used for representational purpose.